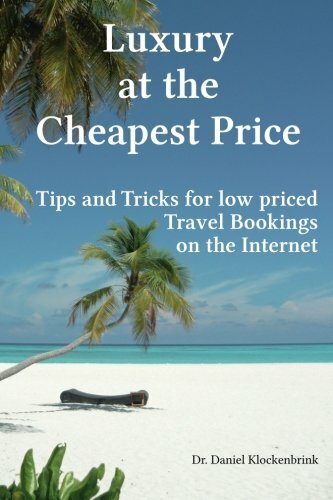 Booking a holiday - or any other sort of travel - is getting easier every day, using the internet. But at the same time the ever-growing multitude of offers on the internet makes the booking and planning of a trip much more complex. Nowadays the internet provides a huge range of offers and it is no longer necessary to rely only on the nearest travel agency, where the offer is limited to a handful of hotels from a catalog. Now you can get all the necessary information on your travel destination, hotels and accommodation, activities in the area and regional specialties yourself on the internet, and at the same time you can save a lot of money doing your own booking through the internet. The only question remaining is how to find the best offer for the best price. the same time when you experience the holiday of your dreams. You will find tips on the booking process, and also additional tips and tricks that will help make the traveling itself easier using the internet or a smartphone. You may discover some things you already know about in this book, but as it is a general guidebook, basic information will be provided in addition to special tips and tricks. Furthermore, this guidebook is kept brief, as all you want to do is book a holiday and not to study the basics of quantum physics. Fraud at Snowfields - the new ebook for Amazon kindle by Daniel Klock. A fantastic adventure where you might even meet Father Christmas himself. Soon available as paperback edition.